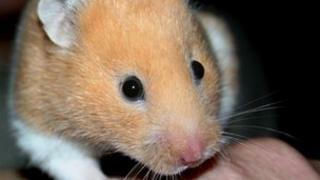 A 10-year-old entrepreneur from west Cornwall has opened up a hamster hotel to earn extra pocket money. Alex Dellamuro from Lelant, near St Ives, is charging a £1 a night to take care of the creatures while their owners go on holiday. Owners must provide their own food, bedding and cage, but toys and entertainment will be provided, Alex says. His "guests" are given bottled water "because I don't like using tap". Owner of his own hamster Smudge, Alex - who attends St Uny Primary School - said it was "only when I started adding loads of cages and it started looking like a hotel" that he came up with the idea. After designing a poster Alex advertised 'Hamster Holidays' on the internet. "They'll get lots of monkey nuts, and we do supply water obviously, but it's not tap because I don't like using tap water. I like giving my hamsters bottled water." Alex has recently had his first booking - his first three guests are a family of guinea pigs.